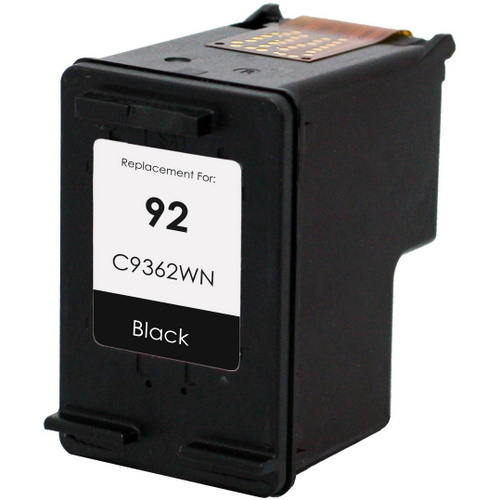 Remanufactured Black HP 92 Ink Cartridge with 220 page yield. Equivalent to HP part number(s): HP 92, C9362W, C9362WN, C9362WN#140. Since finding this website, I have been ordering all our ink cartridges here and saving so much money. I usually buy remanufactured and have only had 1 cartridge not work. I recommend this business to everyone when we talk about buying ink!